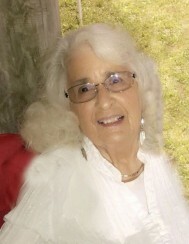 Twila Mae Fee, 81, of White Cloud, KS, passed away February 12, 2019 at Hiawatha, KS. She was born August 26, 1937 at Falls City, NE to Everett and Mary (Roesch) Durfee. She married Ronald Fee on May 24, 1954 at Falls City. He passed away August 3, 2007. Twila was raised by her Aunt Lydia (Durfee) Schmutzer and Uncle Clarence Durfee. She attended schools in the Falls City area. When married she was a homemaker and after her children were raised she took employment at Flairfold at Hiawatha and worked there until 1990. She then became employed by White Cloud Casino and retired after 25 years. She was a member of St. Thomas Episcopal Church at Falls City. Twila is survived by her sons, Martin and his wife Joyce of Morrill, KS, Ronald and his wife Penny of Pickrell, NE, sister, Arleta (Durfee) Falloon of Papillion, NE, grandchildren, Anthony Fee of White Cloud, Tiffany Fouraker and her husband Shawn, Ryan Fee of LaVista, NE, four great-grandchildren and a great-great-grandson, nieces and nephews. She was preceded in death by her parents, husband, sister, Marian Johnson and a brother, Wilbur Durfee. Her funeral will be held on Wednesday, February 20, 2019 at 1:30 PM at St. Thomas Episcopal Church with Reverend Ellie Thober officiating. Interment will be in Olive Branch Cemetery at White Cloud. In lieu of flowers the family prefers memorials be made to the Hiawatha Community Hospital or Doniphan County Public Transportation and Aging.